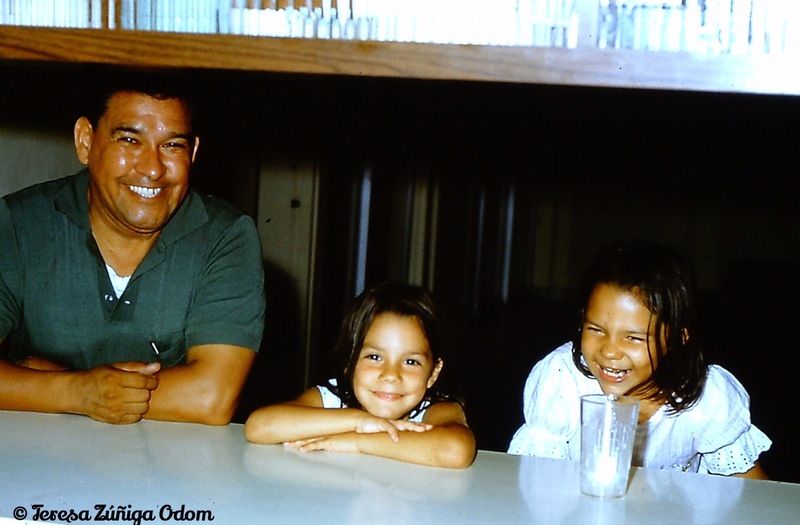 Me ( on the right) with my sister Helena, and my dad having a great laugh one night! This photo was taken in Puerto Rico when I was about 7 years old. In October each year, I always see signs of my father. He was born on October 25th and would have been 95 years old this year. He’s been gone for 16 years now. A few days ago, I was doing laundry and somewhat paying attention to the Property Brothers on HGTV in the background. I walked back into the bathroom to return the laundry basket when I caught an Oreo commercial playing. In it, a father asks his young daughter if she sees any stars “out there.” They live in the city so stars would be a little hard to see – she says, “not yet.” The dad suddenly tells her to grab her jacket and they take off to find the perfect place to view the stars. They end up in the back of their truck in the middle of a field gazing up at the stars with a package of Oreos. One night, my dad surprised me and out of the blue told me we were going to look at the constellations together. I was so excited! He grabbed a flashlight and I grabbed my constellation book. But instead of going outside into our front yard, he said we were going to our roof! We climbed up the wrought iron gate next to our car port and onto the flat roof of our concrete house! Now as an 8 or 9-year-old, I had climbed on the roof before – without permission from my parents, of course – so this was exciting to me! We were on the roof!!! I felt so grown up!!! This photo is of my dad after we got our new Pug puppy, Tai Tai…you can see the wrought iron gate in the background. This was the same one on the other side of the house next to our car port. This is how dad and I climbed onto the roof of the house. Our bathrooms had skylights so we were even more elevated as we laid down on the cool concrete to look at the night sky and dad turned the flashlight to the constellation book. Then we slowly started identifying the constellations together… (minus the Oreos!) Dad would point to one in the book and I would start searching. Dad would give me clues to finding a certain constellation and I remember him using both the big and little dipper as the home base to do our searches. I don’t know how long we stayed on the roof that night but I do remember loving the fact that it was just me and my dad and this was something that we were doing together. It was something very special. I hadn’t thought about this particular memory for a long time. But there was a split second in that Oreo commercial that focused on a constellation book showing Ursa Major/The Big Dipper that had all these memories flooding back to me. It’s funny how you can have memories for so many years and yet the actual feelings remain dormant until something triggers them. Cue the Oreo commercial…and I’m convinced my dad had something to do with this. He always does at this time of year. This entry was posted in Familia, Puerto Rico, Zuniga Family and tagged Astronomy, Childhood, Constellations, Oreo Commercial, Puerto Rico on October 22, 2017 by Southern Señora. A Little Miami Fusion in the Heart of Birmingham! 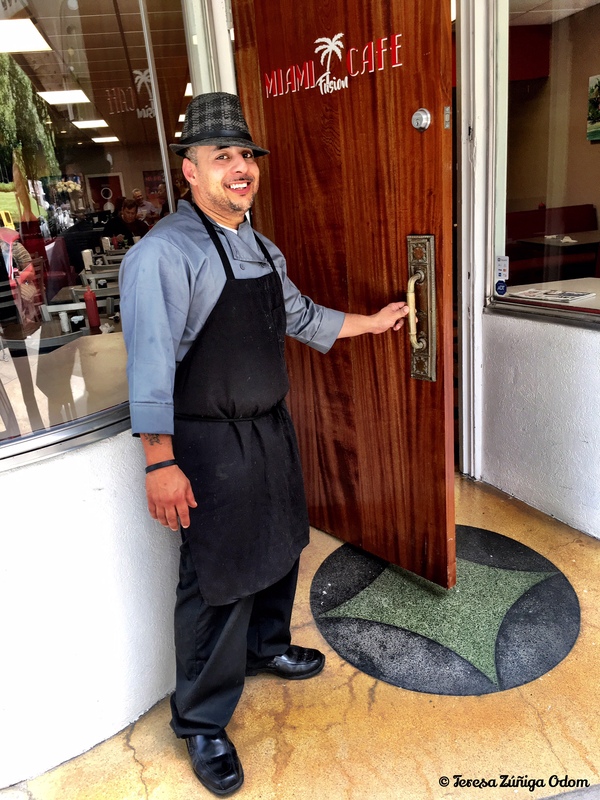 Luis Delgado, owner and operator of Miami Fusion Café in Downtown Birmingham, stands by the door that he refurbished for his new restaurant. I lived in Puerto Rico from the ages 7-12, and while the island itself held many great memories growing up, the food always bring back so many vivid ones. I remember going to our church fair and looking forward to getting bacalaitos – cod-fish fritters. I recently had one in Birmingham and it took me directly back to the church fair when I was 9 years old. Amazing how food can do that to you. When I met Luis Delgado, he had his business – Miami Café – operating out of gas station in Alabaster. I remember going to visit him with my friend, Luis Fernandez to talk to him about participating in Fiesta – Alabama’s largest Hispanic cultural event, as a food vendor. We enjoyed an amazing lunch that day and I was completely sold on his food from that moment on. 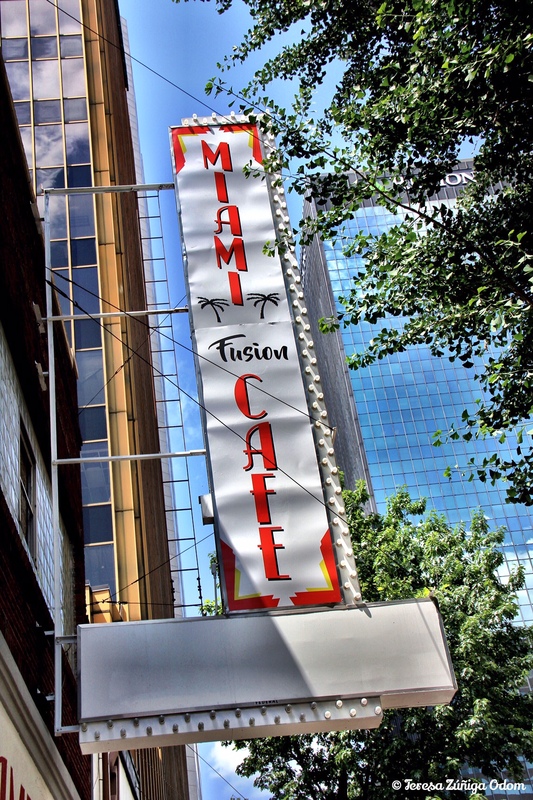 The Miami Fusion Café sign went up in March. A nice addition to the city of Birmingham backdrop! 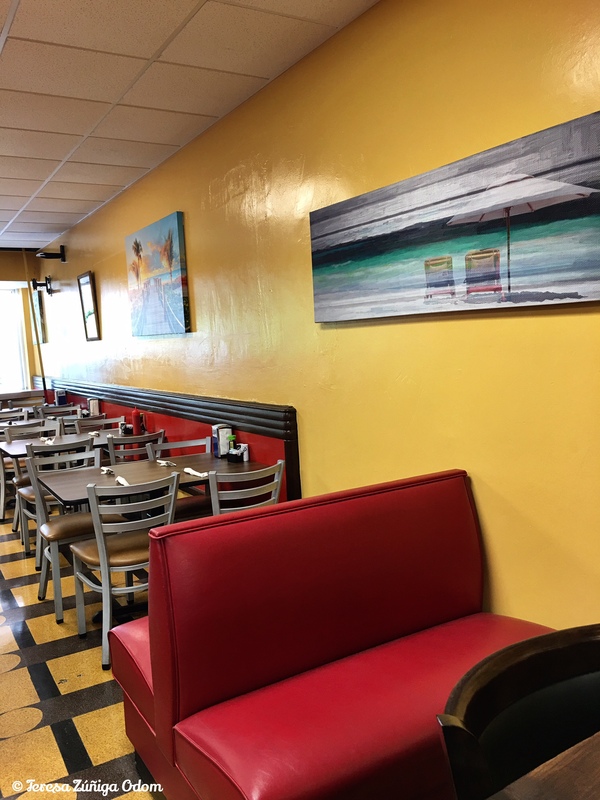 Fast forward to this past week…Luis has been hard at work since last October, converting the old Cameo Café in downtown Birmingham into his new Miami Fusion Café location! I’ve been following his short Facebook videos on the progress and challenges of opening a restaurant. He’s always so honest, and puts it all out there for you to see. I love that about him. 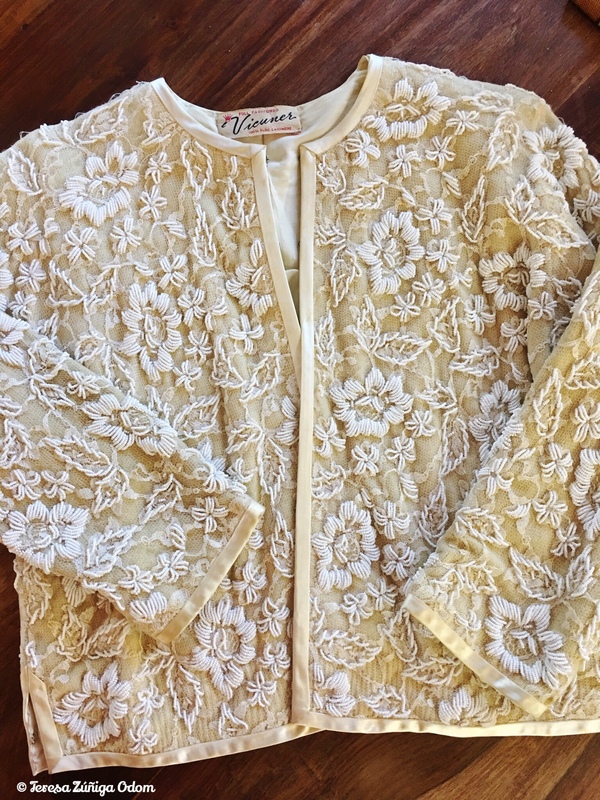 Many people have been anxiously awaiting the grand opening and that will finally happen on Monday, May 22nd to the delight of many – me included! I work within walking distance of Luis’ new location and I cannot wait to try everything on his menu! I was fortunate to be able to attend the soft opening this past Friday. When I arrived a little after 11 a.m., there were just a few people sitting in the restaurant enjoying their food. I was taking photos as I entered the Café so that naturally drew a little attention. I went to the counter and Roxie was ready to take my order and make recommendations. I thought about going for the Roasted Port as she suggested, but I remembered seeing a photo of a sushi roll on Facebook and I thought…now THAT’S something you don’t typically see in a Caribbean style restaurant! So I ordered the Cuban CariMaki Roll and Roxie seemed pleased with my choice! The yellow and red colors really pop with the art deco design reminiscent of Miami night life! While I waited for my food, I walked around the restaurant taking photos and spent some time speaking with Luis’ mother – Maria Teresa. She took me around and showed me some of the artwork displayed in the restaurant and told me there is more to come. We talked about the art deco style design of the restaurant and also the colors selected. I love the gold tones of the walls and the red accents in the booth seats. It gives the store front a tropical vibe. Later, when Luis was out from the kitchen, he told me and a few other patrons about how he built the bars and added the art deco embellishments by hand. He also created the new door for the store, after which he commented…”that’s why this took so long! I did all of this by hand!” I told him the love and care he put into this place is so evident! Luis also talked about how he wants to make the bar I was sitting at an active one where maybe one month he is making Cuban sandwiches so people can see how it’s done and then another month serving up ice cream with tropical flavors like tamarindo and mango. He completely had me at tamarindo…another great memory of Puerto Rico for me! Cuban CariMaki Roll – first time I’ve had the pleasure of trying this and it was incredible! The sweet plantain on the top was an unexpected surprise flavor! My food arrived and all I can say is – OMG!!!! 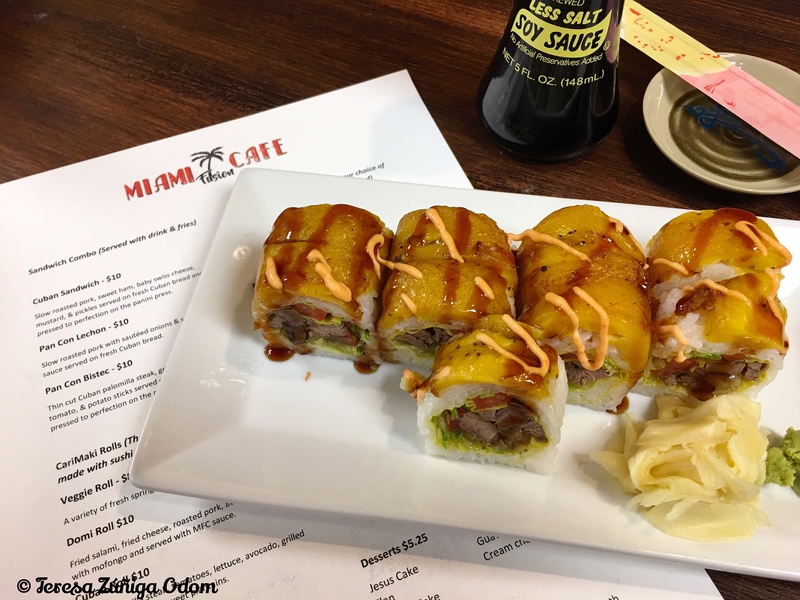 The Cuban CariMaki roll is made with Cuban palomilla steak, tomatoes, lettuce, avocado and grilled onions. It is topped with sweet plantains which is that surprise flavor you are not expecting when you pop one of these into your mouth! As I was eating, people were coming into the store and trying to decide what to order and many saw my plate and walked over to have a look. I know the roasted pork plate was popular on Friday but I do believe my oohing and aahing sold quite a few CariMaki rolls too! In addition to the main courses, like Masitas, Mofongo and Cuban sandwiches, there are a number of sides you have to try as well. Several people ordered the tostones, which are green plantains that have been flattened and double fried until they are golden brown with a side of mojo sauce. Fried Yuca sticks were another favorite – also described as a Caribbean style French fry. And don’t forget the empanadas – fried pies with your choice of chicken or beef! I could make a meal out of empanadas alone! Finally…if you have a bit of a sweet tooth there are some great options to try. First, the Jesus Cake – also known as Tres Leches (Three Milks) cake and Guava pastry. You can’t go wrong with either…which is why I got both! I watched someone say they were just going to take a few bites of the Jesus cake and before you knew it that cake was gone! If you like creamy desserts, this is the one for you! The guava pastry is one of those foods that takes me back to Puerto Rico. Very flaky crust with just a hint of sweetness. Great with Cuban coffee! I always love the tidbits of information you get at events like this too. Luis talked about searching for a man named Fernando who makes the Cuban bread for him. Fernando was doing other work but when he came to the restaurant it was clear he missed making bread and came on board. Bread is a huge factor in making Cuban sandwiches! My next meal at Miami Fusion Café will be a Cuban sandwich…I already know it! Luis also has big plans for the upstairs of the restaurant with catering and events. His mind is always twirling with ideas! Roxie poses with the Jesus Cake! This was the perfect way for me to leave Miami Fusion Café on Friday. I felt like family the minute I walked into the restaurant. I know you will too, so please do yourself a favor and go by if you are in Birmingham. Luis and his staff are anxious to serve you! P.S. On Saturday morning, Luis and his wife, Samantha, added to their lovely family with the birth of a daughter! Quite a big week for the Delgado family…the restaurant opening and now a new baby! Congratulations to Luis and Samantha and best wishes for great success with Miami Fusion Café! This entry was posted in Cuban Sandwich, Food, Puerto Rico, Restaurants and tagged Cuban CariMaki Roll, Guava Pastry, Jesus Cake, Luis Delgado, Miami Fusion Cafe, Puerto Rican Food, Tres Leches Cake on May 20, 2017 by Southern Señora. In January, I attended a Town Hall meeting at the Birmingham Civil Rights Institute called “Nuestra Cultura: The Impact of Hispanic/Latino Cultures in the U.S.” This event was in conjunction with the “American Boricua” exhibition being shown at the BCRI. The panelist featured were Dr. Lynn Adrian, Department Chair, American Studies Scholars Program, University of Alabama; Dr. Carlos Aleman, Assistant Professor, Director, Latin American Studies, Samford University and Wanda Benvenutti, photographer of “American Boricua” exhibition. The discussion began with a review of US immigration followed by the US census and how it has identified Hispanics/Latinos throughout the ages. This then lead to a discussion of race – being white or black or brown and ultimately about language. The biggest discussion centered about the topic of language and so many good points were brought out. It has had me thinking for weeks now. A future post will discuss Spanish language and my thoughts on this. Besides the great discussion that night, another highlight for me was getting to meet exhibit photojournalist, Wanda Benvenutti. 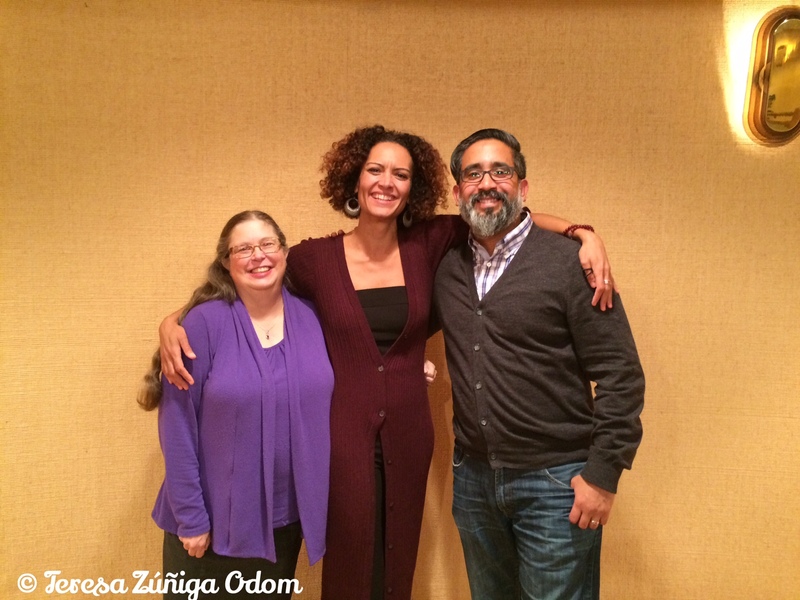 She is a breath of fresh air…so full of life and energy and offered so much to the conversation about language, race, culture and identity. Having lived in Puerto Rico for 6 years when I was growing up, she reminded me of one of my mother’s friends and I was always drawn to this woman. Wanda clearly does not meet a stranger and I was definitely drawn to her! Wanda Benvenutti’s American Boricua – Puerto Rican Life in the United States – at the Birmingham Civil Rights Institute in the Odessa Woolfolk Gallery. 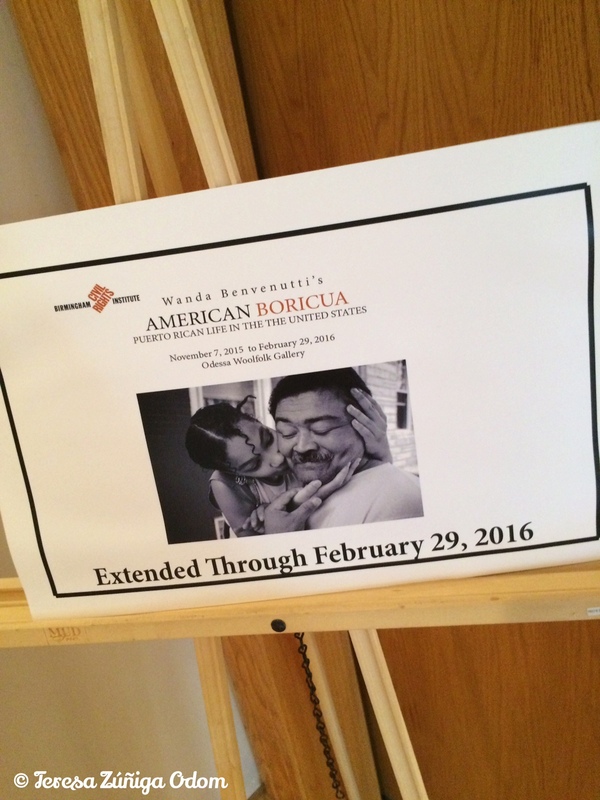 Wanda’s exhibit – American Boricua, Puerto Rican Life in the United States – was extended through February 29th. It is a visual history of Puerto Rican life in 50 states and examines how Puerto Ricans define home, family, culture, and identify. Wanda hopes this exhibit will get people to think beyond race and focus on culture. She states that to focus on culture is inclusive, genuine and real. I tend to agree! If you are wondering about the word Boricua, it is a term of endearment Puerto Rican’s use for one another. It comes from the native Taino word for the island, “Borinken,” which means “Brave Noble Lord.” I recall as a little girl singing the Puerto Rican national anthem – Borinquen – before classes when I attended Cupeyville Elementary, a private school in Rio Piedras. Later I learned to play it on the piano. 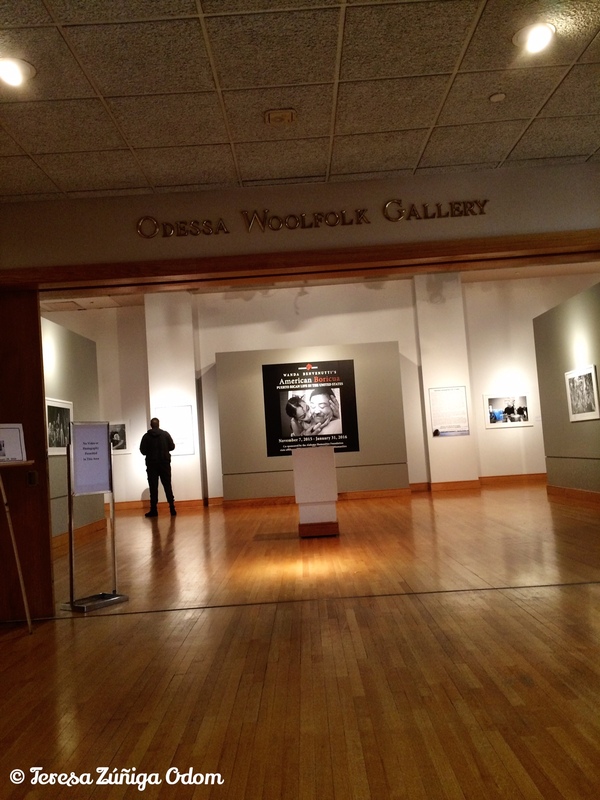 I was able to see Wanda’s exhibit today and it was very moving. Black and white photographs with simple titles. Black and white photography is always so detailed and it draws you into the frame. There was also a video looping which had Wanda speaking with a group of Puerto Ricans in a living room setting. The biggest takeaway from that video was the woman who spoke about being Puerto Rican, being brown. Her statement “we have come to the conclusion that we’re not white enough for the white people, and we’re not black enough for the black people. So we’re caught in the middle.” She went on to say that it didn’t bother her and she just goes about her business just fine. All the people in the group discussion spoke about never having been invited to a white person’s house for dinner. They talked about living in the south and how the image of friendliness and that your neighbor will bring over food to be hospitable is ever present…but they never had this experience. I wanted to hear more but it was a short excerpt. This is the kind of conversation we need to keep having though. Hopefully, exhibits like this can bring that conversation about. 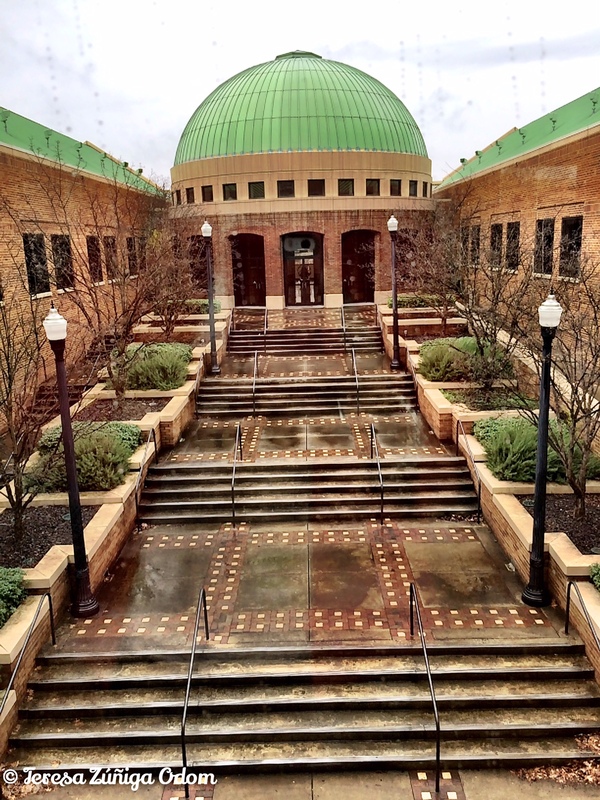 The Birmingham Civil Rights Institute – taken from the 2nd floor outside of the permanent exhibit. 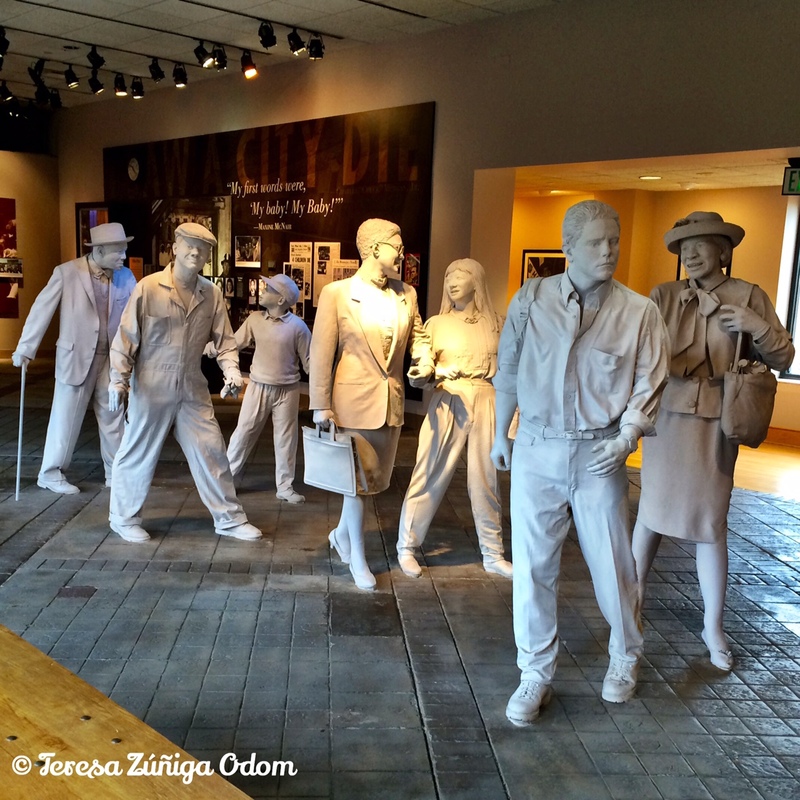 One of the iconic exhibits in the permanent Civil Rights collection at the BCRI in Birmingham, Alabama. 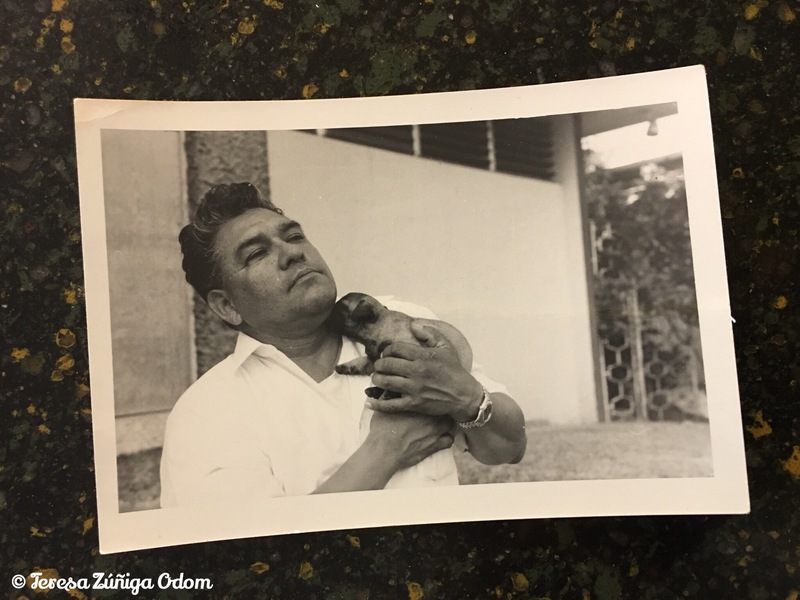 This entry was posted in Birmingham Civil Rights Institute, Photography, Puerto Rico and tagged American Boricua, BCRI, Birmingham, Boricua, Dr. Carlos Aleman, Dr. Lynn Adrian, Photojournalist, Taino, Town Hall, Wanda Benvenutti on February 22, 2016 by Southern Señora. Warm Up Your Christmas with a little Coquito! 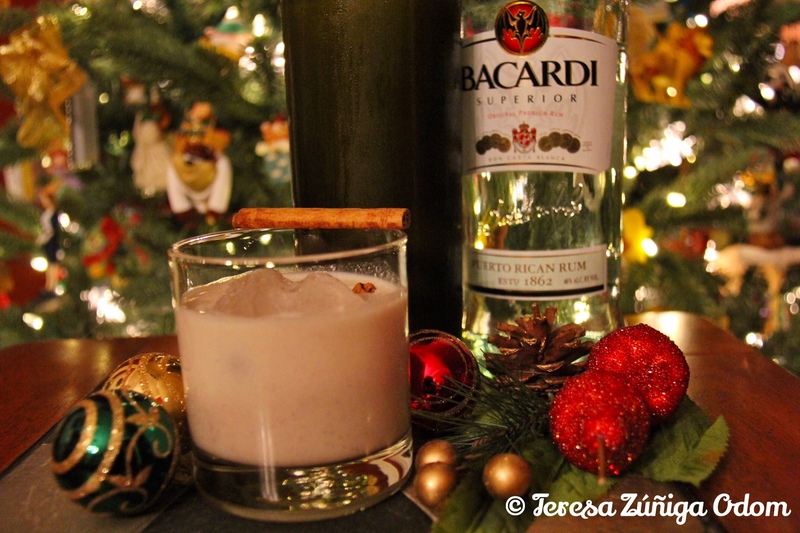 Coquito – Puerto Rican eggnog – is a tradition at Christmas time! Coquito…it’s a cool word to say, isn’t it? Well, it’s even better in a glass over ice! Coquito [koh-kee-toh] – is Puerto Rican eggnog and it’s delicious! It’s made with rum, coconut milk, sweet condensed milk, vanilla, cinnamon, nutmeg and cloves. Some people add eggs and others don’t – it’s a personal preference here. 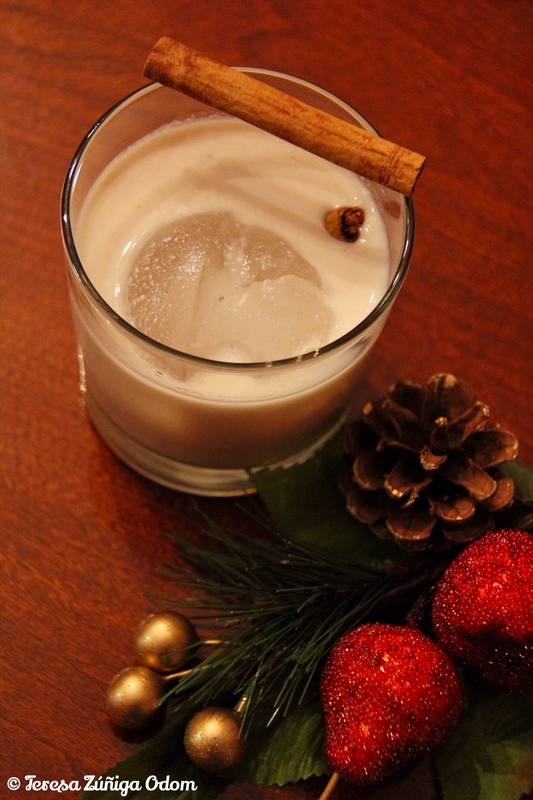 You’ll find coquito being served and enjoyed around Christmas each year. It’s in high demand! There are a number of recipes you can find online but I must confess, I’ve never tried to make coquito. I lived in Puerto Rico from ages 7-12, so I was a bit young for this drink! But I did know about it’s popularity. I had some at a friend’s pig roast several years ago and was hooked. Still, I didn’t try to make my own. Then recently, I found out that a friend of mine, Luis Delgado, was making coquito and selling it by the bottle! I got to know Luis several years ago when his restaurant – Miami Cafe – was a food vendor at Fiesta, the Hispanic and cultural event I have worked with for the past 13 years. Miami Cafe in Alabaster served up everything from Cuban sandwiches to chicken wings with a Carribean flair. His food was wonderful and I enjoyed eating at his little place the few times I was able to go. Luis’ love of cooking comes from his grandmother as a little boy growing up in Puerto Rico. He was always asking her questions about how to make different recipes and she gladly shared everything with her grandson. He carried this love of cooking to Miami before eventually moving to Birmingham. At the urging of friends who loved his food, he opened Miami Cafe. Since his restaurant closed, he is now catering. I attended an event at Birmingham International Center (BIC) a few months ago about doing business in Cuba and as I glanced at the food, I knew immediately it was Luis’ cuisine! Back to the Coquito…I tried Luis’ coquito just last night and OMGEEEEE!!!!! Believe me when I tell you that it’s to die for! I poured it in a bigger glass than normal – you usually use a shot glass – so that I could share it with my husband. I took one long sip and swooned, it was so good! Then I handed the glass over to my husband. After one sip he wouldn’t give it back to me! So much for sharing! If you are in the Birmingham area and you are interested in buying a bottle of this deliciousness, contact Luis Delgado on Facebook and place your order and let him know you read about it on Southern Senora blog. Coquito is $35 a bottle and well worth it to enjoy with your family. Of course, after one glass you might not WANT to share! A glass of coquito garnished with two cinnamon sticks! Best served over ice and sipped in front of a Christmas tree! This entry was posted in Christmas, Drinks, Food, Holidays, Puerto Rico and tagged BIC, Birmingham International Center, Coquito, Eggnog, Foodie, Luis Delgado, Miami Cafe, Rum on December 10, 2015 by Southern Señora. It’s interesting…I heard that song and immediately began singing along. All the words and the melody came back to me immediately. I was in 3rd grade attending a private school called Cupeyville Elementary in Puerto Rico. As a 3rd grader, I was learning Spanish as a first language, English as a second and French as a third. One of the things we learned in French class – the French national anthem. 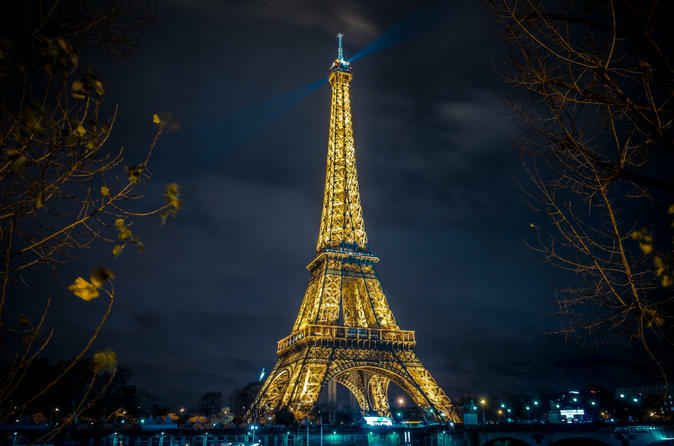 So…Friday night after the news coverage…I found the anthem on YouTube and decided to sing along – in solidarity with the French and offering prayers for healing. This entry was posted in France, La Marseillaise, Paris, Puerto Rico and tagged Bloglikecrazy, Cupeyville School, French, French National Anthem, La Marseillaise, News, Puerto Rico on November 14, 2015 by Southern Señora.